Former CIA operative Brian Goral talks about his experiences. AS A CHILD, Brian Goral was fascinated with the CIA. “I started keeping a journal and a folder of news articles on US and Soviet forces,” he told Business Insider. “I would copy terms and acronyms from the backs of military-spy novels and try to understand the World Book Encyclopedia’s explanation of how nuclear weapons worked. Denise, he says, pursued a different career path. But Goral realised his dream when he landed an internship with the CIA — the civilian foreign-intelligence service of the US federal government — as a college student. Goral, 39, spent 15 years with the agency, and told us about what it’s really like to work for the CIA. I was born and raised in Milwaukee. I have always been fascinated by why people make the choices they do and how our brains process information — part of that, no doubt, because both my parents were counsellors. My future career thoughts oscillated between being a brain surgeon and a soldier of some sort — yes, it was an odd specificity. I always thought the civilian life was probably a better path for the energetic nerd in me by the time I made it to college. I figured I was on the way to becoming a doctor with a specialty in neurology. However, I realised I wasn’t ready to commit to attending medical school right out of college, so I started thinking about other career options instead. My freshman year at Michigan State, a good friend of mine — with the help of the University’s student services — introduced me to the idea of taking an internship at CIA. That’s when the idea became real. What sort of experience did you need before applying for your first job at the CIA? For the internship program, it’s just like many others: They are searching for people who are sharp and loyal, with a real desire to be there. Unlike many places, it’s tougher to know exactly what you’re in for in terms of the work. I had a solid advantage over many other candidates in one key (and unplanned) way: I was a chemistry/biochemistry guy. Many other applicants were political science or criminal justice. Even today, not many people think of the natural sciences when they think of the agency — though at least now people do recognise the broader technology part of the CIA more frequently. However, 1996 was around the time The Rock came out, and inspectors in Iraq were looking for chemical weapons while others were analysing potential connections between Saddam’s chemical munitions being “destroyed” during the first Gulf War and Gulf War illnesses. So what was it like working for the CIA? There was no routine year-on-year. It really depended on the assignment and location. For example, most people know Google Earth, but many may not realise that the original version of the software was evaluated and supported by the intelligence community well before Google. It’s an excellent model which has really grown over the years. Within our shop, I governed gathering new technology requirements from across the CIA and putting those needs into context for the financial teams to understand why we might want to invest in a certain computer hardware company or particular type of data analytics. What would you say was the best part of working for the CIA? It was definitely the people you meet. Both your own colleagues and the incredible individuals I discovered in places in the world that you’d never even heard of when you were a kid. These incredible people often included our own US servicemen and women — who frequently didn’t know (or particularly care) who we were, but were good to us regardless. What was the biggest challenge or worst part or working there? Certainly throughout my career there were scary moments in the field and painful ones while working back home, particularly when I’d hear news of friends and colleagues who wouldn’t be coming home. 30 December 2009 stands out. The agency lost seven personnel in an attack on a base at Khowst, Afghanistan, on that day. However, in a way, those moments were expected and part of the job. Leaving wasn’t. During the last 15-plus years, many of the people in the agency became my best friends and family. I was leaving the job security and the mission for complete unknowns, certainly. What’s one thing people would be surprised to know about working for the CIA? The level of professional and managerial training offered to the workforce. Recently, there has been a major push to educate those who aren’t in the CIA about the different types of training and lessons of leadership from our senior executives. That, coupled with an effort to flatten aspects of the organization and enhance cross-communications between what were once distinct verticals: Operations, Intelligence [Analysis], Science and Technology, and Administration. What’s one of the biggest misconceptions about working for the CIA? There’s no stereotypical “agent” with a single personality and dictated political mindset. While I’ve heard political discussions in the halls and cafeteria, I don’t think I’d ever seen a hot-button political issue of the day that actually influenced the work or affected cooperation between colleagues working together on a project. When the work starts, it usually just doesn’t come up if you’re pro- or anti- this or that political issue. People there work from the position that they are the first line of defense, and everyone is there because they love the country. 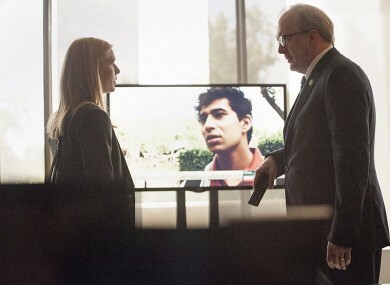 Do you think movies and TV shows like Homeland tend to portray life at the CIA accurately? What does Hollywood get wrong? The short answer is no — which I imagine is true for most professions depicted by Hollywood. I like a good adventure story as much as the next person. However, besides missing badly on the ratio of excitement to preparation, most of the movie and TV versions I’ve seen have sold short the diversity of personalities and complexity of emotions encountered within the work we do, or they overcompensate with completely ridiculous elements. How was your personal life affected by your professional life when you worked for the CIA? For me, like for many people in very intense working environments, there was a tendency to subconsciously boost my own prioritisation of my work over other things, particularly in the early years. Early in my career, I tended to take few vacations, and it took me a while to figure out how to create a substantive work-life balance. For example, I kicked myself after missing a friend’s wedding and another’s law school graduation. I did manage to grow into my own person, and it certainly helped that I couldn’t physically take work home with me and that I often found myself in amazing places where it would have been great to be a regular tourist. Catching those glimpses and making plans to return one day helped me want to connect more deeply with the people in my life who would want to share in the trip. Those realisations pushed that early imbalance much more toward even. Was it hard to have a job you couldn’t talk about very much? I think in the commercial world there are just as many professions where you can’t speak casually or openly with others about work details — financial dealings and emerging technology, for example. While it’s generally easier to communicate with people from your same profession, there are certainly ways to express events of the day to others without going into critical details. This is not to say all the stresses of our respective careers are equal; certainly there are very different boundaries and potential consequences for disclosing information to which to adapt. As I mentioned before, most of the people in the building understand that they’re not in a profession compatible with a burning need to dazzle others with dropped names or stories they couldn’t prove anyway. What’s your best piece of advice for anyone who dreams of working for the CIA? Check your ego at the door. The agency is an incredible place of service where excellent people are doing things from which they’ll never receive credit from the outside world. However, you still need to understand the outside world, so start with learning a language and stepping outside your comfort zone to travel; visit places and countries that are off the tourists’ beaten paths. Learn to understand the people you meet there because, generally speaking, the people who are going to work hard to change the world aren’t the ones already sitting on top of it. When and why did you decide it was time to leave the CIA? I finished my MBA around the 15-year mark, in 2014, and started to recognize that if I was ever going to make that leap to the commercial world, let alone a startup, I would need to do it pretty soon. If I waited longer, I’d have gotten sucked into that space where it’s “just another couple of years until X milestone,” or “… that executive role.” Alternatively, I might have found myself with family commitments and not willing to take the startup risk. I’d loved the missions and the people, but when my immediate leadership was replaced by a micromanager in my final work tour, that was the catalyst to sell my home, find a short-term lease in a new city, and commit myself to not renewing so that I’d be out of DC by the end of that year. So what happened next? What are you doing now? Fortunately, I had some great friends and veteran contacts up in New York City who helped me meet with some really nerdy, techy, entrepreneurial, good people and really gain exposure to the New York startup scene. We have some big goals and are approaching them step by step. Email “Secrecy, terrorism and no egos: What it's really like to work as a CIA agent ”. Feedback on “Secrecy, terrorism and no egos: What it's really like to work as a CIA agent ”.